A stellar line-up, including the UK’s Suede attracted a bumper crowd with 30,000 revellers braving wind and rain to make it to the three-day event’s opening day. An estimated 80,000 people are believed to have visited the site from 1 May to 3 May. Animals Asia staff report that thousands of people visited their booth with 490 youngsters interested enough to sign up for Animals Asia updates. 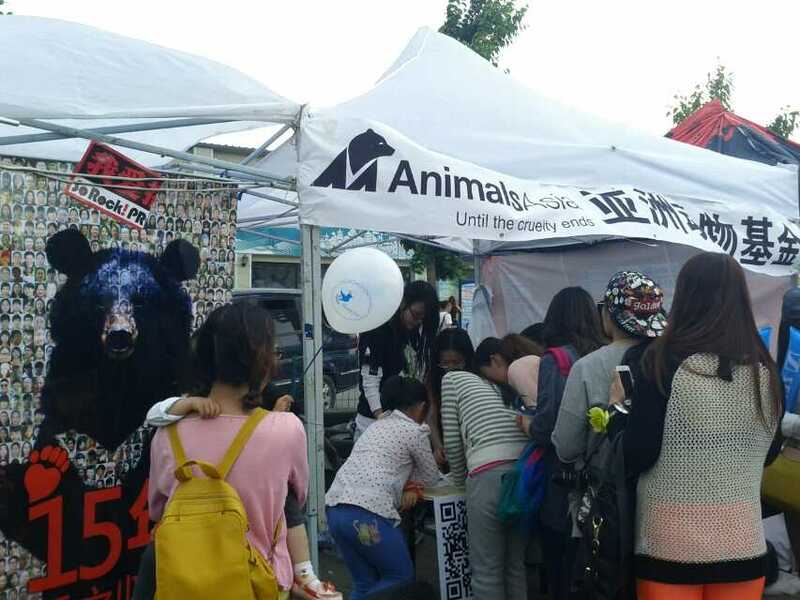 Despite poor 3G access on site still more supporters began following Animals Asia on WeChat – China’s Facebook equivalent. 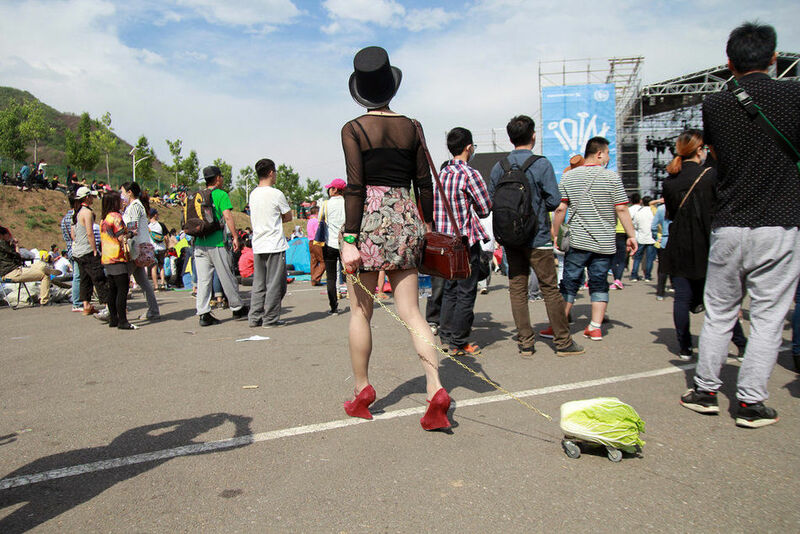 The stall was given a boost by the presence of performance artist Han Bing – famous for her “Walking the Cabbage” series – who volunteered to don a bear suit and play Moonie for us.